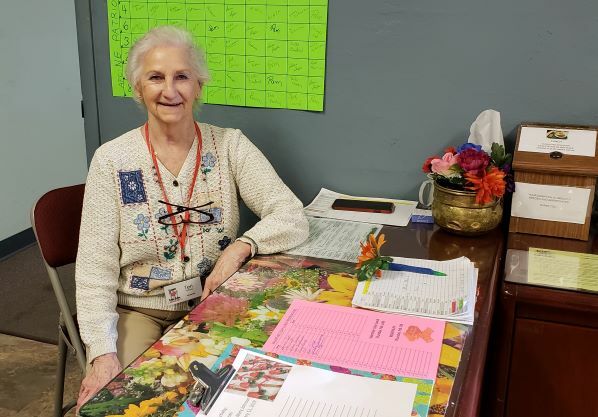 Volunteers are the heart of The Payson Senior Center. We welcome you with open arms, and THANK YOU for your willingness to share of your time, energy and talents. 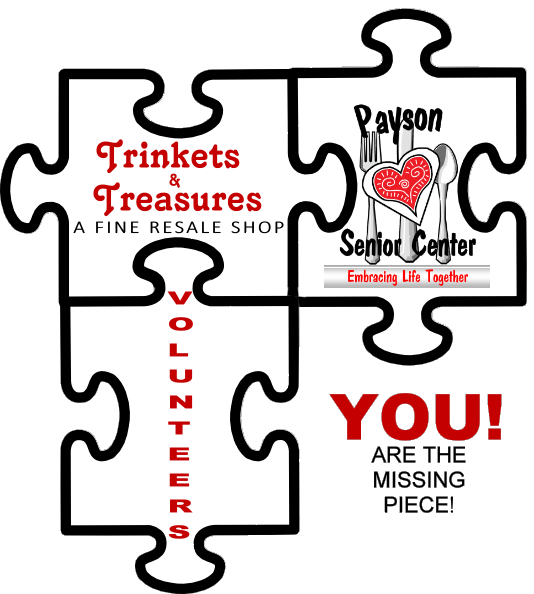 As we strive to serve our seniors and our community, we are all a piece of the puzzle....YOU are that missing piece. Melody is always there to lend a hand whenever needed. She always has a smile. Melody is kind hearted and has a sweet personality. Come down and meet Melody! Mary is a jack of all trades volunteer...She is a greeter, helps in the kitchen, an amazing baker, teaches candy making classes for our guests and is also teaching a Fondant Class as part of our Culinary Experience. Mary pitches in wherever is needed. Everyone loves when Mary is making one of her specialty goodies! Teri is a superstar volunteer. She use to be one of our wonderful Meals on Wheels Drivers, and now helps us in the office. She's a greeter, filer and helps with administration. We so love having Teri around each week to brighten our days. Arlene is one of our amazing volunteers. She leads one of our "strength and balancing" classes. We are very thankful for her and her dedication to helping our Center.